Segment Description: Melanie Nicol, PharmD, PhD, assistant professor, University of Minnesota College of Pharmacy, explores how DMPA hormonal contraception affects women's HIV risk. 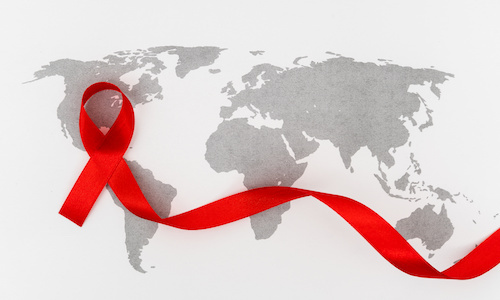 Contagion®: Can you explain the research you presented at CROI? Dr. Nicol: "The research I presented at CROI this year was related to a study I did in Kampala, Uganda, so we were interested in looking at drug penetration into female genital tissues of women who were using [Depo-Medroxyprogesterone Acetate (DMPA)] as a hormonal contraception. We know that DMPA can increase women's risk of getting HIV and there was some in vitro data suggesting that DMPA may also decrease the phosphorylation of tenofovir to its active metabolite so we were concerned that now we were setting up a situation where women were at increased risk of getting HIV and also may be at increased risk of drug failure for oral [pre-exposure prophylaxis]. We did a study where we looked at drug concentrations of the active metabolites of tenofovir as well as lamivudine in cervical tissues and we actually saw concentrations were higher in DMPA users so the take-home message was that women using DMPA can feel confident that the DMPA uses is not compromising their PrEP efficacy. The other interesting finding that we had was this is really the first data to look at lamivudine concentrations in the female genital tract and there's a big interest on a global scale for possibly using TDF/lamivudine for PrEP even though the only drug so far that's been studied for that is tenofovir with emtricitabine. This was the first data that was generated looking at can we use lamivudine in place of emtricitabine for PrEP and we saw pretty comparable concentrations so from a pharmacokinetic standpoint it could be worth looking more into lamivudine for oral PrEP." The poster, "Depo-Medroxyprogesterone Effects on Tenofovir-DP and Lamivudine-TP in Cervical Tissue," was presented on March 7, 2019, at CROI 2019 in Seattle, Washington.